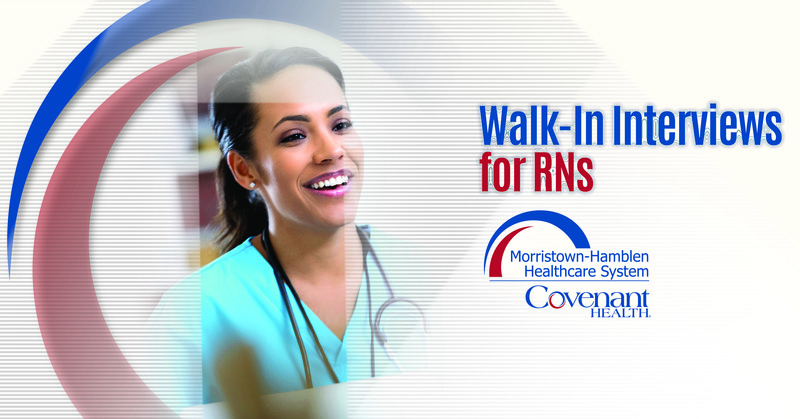 Registered Nurses seeking new career opportunities are invited to attend a walk-in interview day at Morristown-Hamblen Healthcare System! It will take place on Wednesday, July 11 from 9 am – 4 pm. Attendees will have the opportunity to meet and greet nursing leaders and interview for open nursing positions at Morristown-Hamblen! Drop us an RSVP and let us know you are joining us. Our team can’t wait to meet you!